CE Tech CAT5E UTP Patch Cable reliable signal strength Connect various use for Internet access, wireless printing, routers or hubs. Connect a modem, computer, fax machine, caller ID terminal or answering machine to your phone with the CE-TECH 8 in. Gray Accessory Phone Line Cord. This cord comes with modular plugs pre-installed on both ends. The CE White 1-Line Wall Jack inserts a phone line connection point in your wall. This wall jack comes with its own cover plate. The plate offers color-coded terminals for easy wiring. Digiwave EM746025 CAT5 350Mhz Network Cable is uses for connecting a PC, Mac or network device to 10/100/1000 Ethernet networks. Gold-plated copper contacts on the RJ45 male to male connectors provide excellent conductivity for accurate high-speed transmissions. Constructed with high quality material to protect the RJ45 plug of the cable from damage during installation. 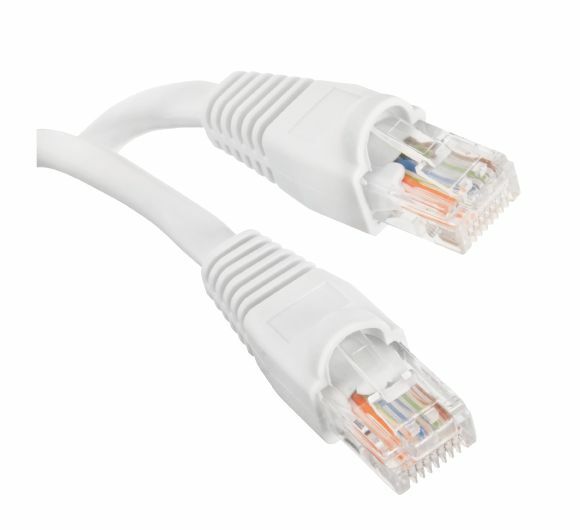 Digiwave EM746050 CAT5 350Mhz Network Cable is uses for connecting a PC, Mac or network device to 10/100/1000 Ethernet networks. Gold-plated copper contacts on the RJ45 male to male connectors provide excellent conductivity for accurate high-speed transmissions. Constructed with high quality material to protect the RJ45 plug of the cable from damage during installation. 3 ft. CAT5E UTP Patch Cord CE Tech CAT5E UTP Patch Cable reliable signal strength Connect various use for Internet access, wireless printing, routers or hubs.